The Orlando Eye, Madame Tussauds and SEA LIFE Orlando officially opened to the Public May 4th, 2015 as a part of I-Drive 360 in Orlando, FL. I was offered the chance to buy an Orlando Eye First to Fly ticket for the weekend prior to the Grand Opening. As a part of this ticket I had the option to add either Madame Tussauds, SEA LIFE Orlando or both. The Orlando Eye, Madame Tussauds and SEA LIFE Orlando Aquarium share the same large lobby and show building. SEA LIFE Orlando houses over 5,000 creatures including colorful fish, seahorses and jellyfish. It also houses a 360-degree ocean tunnel where sharks and sea life swim above, below and beside you. 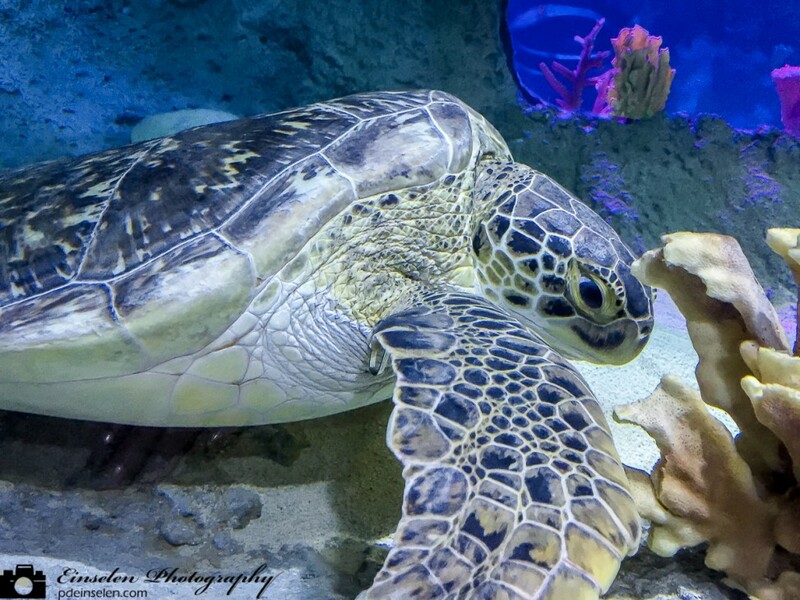 Part of the exhibit is this green sea turtle, which had yet to receive a name. As of June 2nd, the green sea turtle has officially been named Chely by a vote on Facebook. Welcome to Orlando Chely!